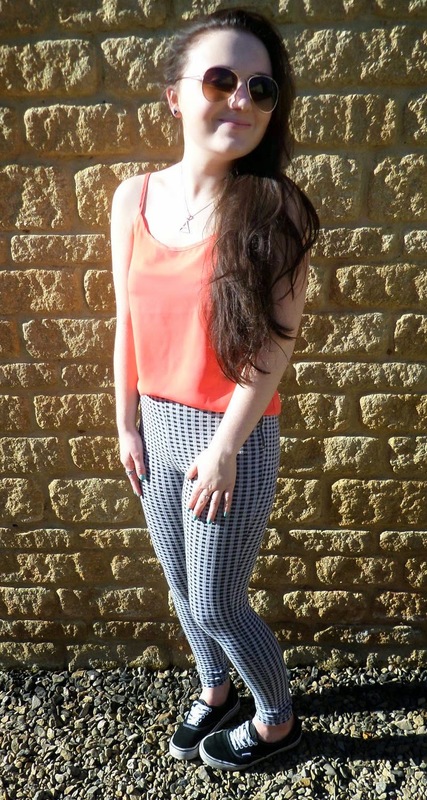 Another summery outfit post! Ever since our weekends have started to blossom and the sun has started shining I’ve been loving being able to whack out the brights and the sunnies. I’m obsessed with these Gingham leggings from Topshop (don’t hate me for wearing them as trousers some times) and this bright cami is perfect for the summer days. I also really like that this outfit is easy to transform into a work outfit with a pair of black heels, it’s a prefect double whammy! What outfits do you love in the summer time? I love how your top injects a pop of colour!